Presently the Tinicum Township Fire Company is the primary Basic Life Support EMS service to Tinicum Township , Ridley Park , and Prospect Park Borough's and runs mutual aid response in the City of Chester , Eddystone, Ridley Township , Norwood and other surrounding communities. 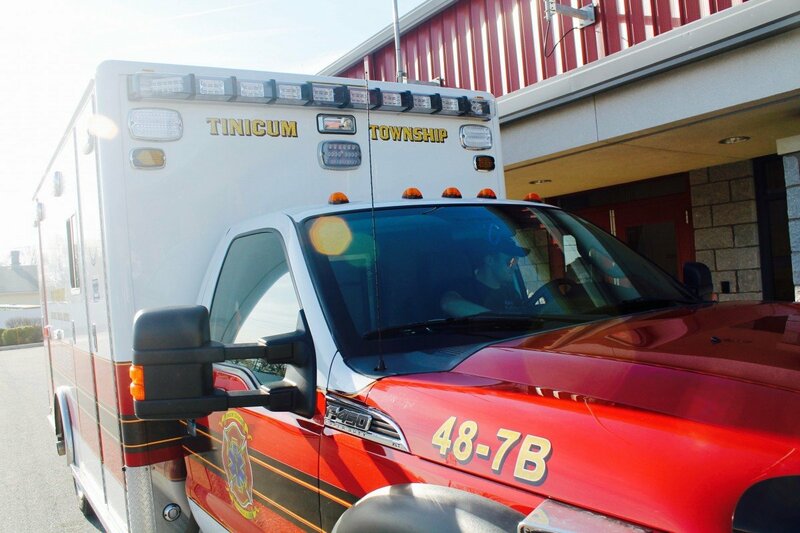 Tinicum township operates 3 Basic Life support ambulances, with two ambulances staffed 24/7 and a third ambulance that can be staffed by volunteers responding from home during times of increased call volume. Primary Advanced Life Support service is provided to Tinicum Township by paramedics from Crozer Hospital stationed throughout the area, including Medic 100D stationed at Tinicum Township Fire Company. The ambulance runs over 2,000 calls per year and is one of the busiest ambulances in Delaware County. There are presently 12 full-time employees and 8 part-time employees of the Tinicum Township Fire Company, staffing 6 platoons, 2 platoons work 18 hour shifts working from Midnight to 6PM Monday through Friday, the other 4 platoons work 24 hour shifts staffing the station around the clock every day of the week. Between the hours of 6PM to Midnight and on weekends the ambulance is staffed by volunteer staff who are in station. Part-time paid staff help to staff the station when needed. 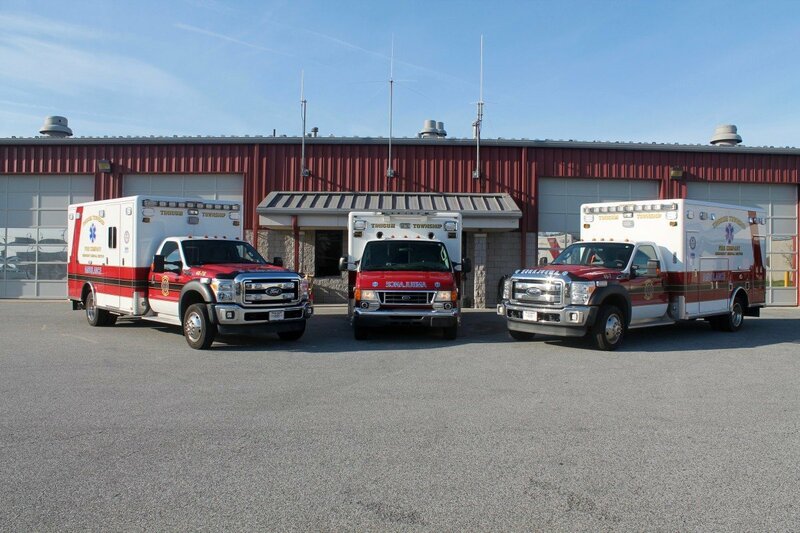 The Tinicum Township Fire Company has a lot of pride in its EMS system and strives to continue its excellence in EMS to Tinicum Township and its surrounding communities. Any questions about EMS services provided by Tinicum Township Fire Company should be directed to EMS Captain Mike Ellis by calling the station. The Essington Fire Company started its EMS service on July 6, 1939 when the Essington Fire Company Ladies Auxiliary donated a 1928 Hanley Ambulance that was purchased from Taylor Hospital . On August 3 rd 1939 the fire company organized its rescue squad and first aid classes were organized. On June 6 th 1940 first aid classes were completed and a 1935 ambulance was purchased. Between the years 1948 to 1967, 5 Cadillac Ambulances were purchased, placed in service, ran there time and retired. The Essington Fire Company EMS service was keeping itself busy. In 1975 the Essington Fire Company purchased its first van ambulance a 1974 starline ambulance. On August 2 nd 1984 the Fire Company purchased a computer for ambulance and fire reporting and in June of 1985 the Fire Company purchased a 1985 Braun Ambulance. On July 7 th 1994 a new E-ONE diesel ambulance was placed in service. The Essington Fire Company's current squad was purchased in 1998 and is a 98' Ford Lifeline Ambulance. The Essington Fire Company received its first A.E.D. ( Automated External Defibrillator ) in 1993 through a grant made available to us thanks to Merck Pharmaceuticals for the cost of $12,000 dollars. In September of 1996 the Essington Fire Company took a big step in providing Tinicum Township and surrounding communities with the quickest and most efficient EMS system it could. This was done by starting a Part-Time paid staff to work between the hours of 6AM and 6PM. Essington Fire Company was one of the first organizations to start a paid staff system and the concept has grown through out the County. As the years went on, Essington Fire Company's EMS Service continued to get busier by picking up more response areas and the amount of calls became somewhat of a burden on the volunteer staff. In this, the officer's and members of the Essington Fire Company found it to be probable to start a Full-Time paid staff to cover primary the ambulance and secondly fire responses. When the Essington and Lester Fire Companies merged to form the Tinicum Township Fire Company, the ambulances and staff of the Essington Fire Company continued to serve the citizens of Tinicum Township and the surrounding areas with Tinicum Township Fire Company.